Building upon the success of its “Liquid California” mantra, up-and-coming distiller Calwise Spirits has reached a new milestone with the opening of a flagship distillery in the Paso Robles wine country on California’s Central Coast. 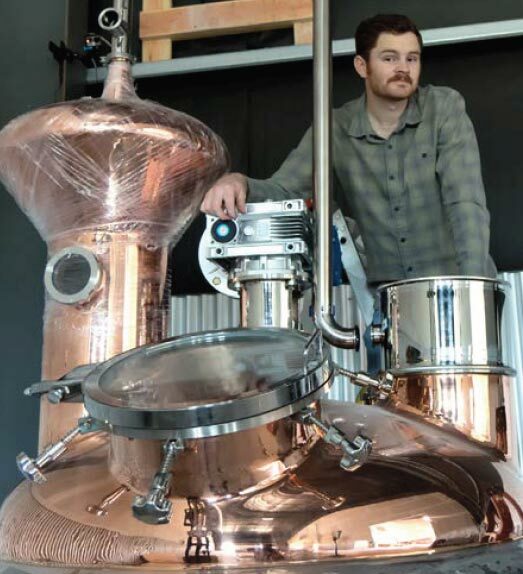 The Calwise Spirits distillery opened near Paso Robles’ Tin City neighborhood mid June, and features a custom still, tasting bar, cocktail service, light bites and other visitor amenities. Founded in 2016 by Aaron Bergh, who at age 25 is one of the youngest master distillers in the world, Calwise Spirits specializes in gins and rums that are infused with native California ingredients. Fittingly, the labels depict illustrations of iconic California wildlife. In just two years, Calwise has gained widespread retail distribution. 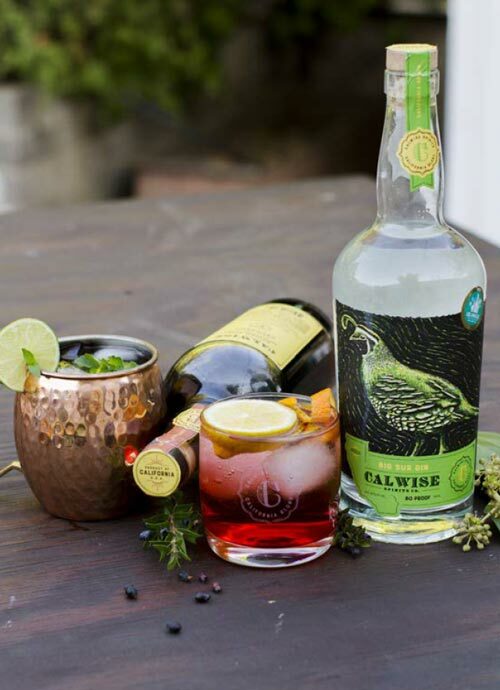 Retailers carrying Calwise Spirits in California include Bristol Farms, Whole Foods, Bevmo and Vons, as well as California Fresh Market in San Luis Obispo and Pismo Beach. Calwise’s spirits can also be found at leading bars and restaurants around California and locally, including Fish Gaucho (Paso Robles), Flour House (San Luis Obispo), Novo (San Luis Obispo), Benchmark Eatery (Santa Barbara) and Boathouse at Hendry’s Beach (Santa Barbara). They are also available online via Hi-Time Wine Cellars and others. Calwise’s signature offering is the “Big Sur Gin” ($35), which is distilled from locally sourced wine grapes and infused with 12 organic wild herbs that are largely native to the iconic Big Sur coastline, including sage, yerba santa, bay, fennel, and elderberry. As a Central Coast native and an outdoorsman who studied plant sciences at Cal Poly San Luis Obispo, Bergh alighted on the idea of Big Sur Gin while hiking in the region’s oceanfront mountains. The results have been immediate, as the Big Sur Gin has already earned a Best of Show medal at the 2017 Wine & Spirits Wholesalers of America’s Annual Convention & Exposition, and a gold medal at the 2017 Los Angeles International Wine & Spirits Competition. Buoyed by the success of his inaugural creations, Bergh is now confidently moving forward with the buildout of his new 6,000-square-foot distillery and tasting room. To date, he has been producing his spirits in collaboration with a distillery in San Diego. The centerpiece of the distillery is a still that has been customized to Bergh’s specific modifications. In addition to tasting flights of rum and gin, the tasting room will serve proprietary Calwise cocktails. A small menu will feature light bites such as locally made flatbread pizzas and bacon-wrapped dates. The visitor area will include a redwood bar and seating at copper tables. In addition to signature Calwise offerings, the distillery will feature special-batch spirits including a barrel-aged gin.